Smart Systems Record, Store and Transmit Data! DataTaker is one of the world’s leading brands of general purpose and specialized data loggers. 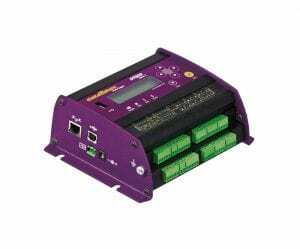 CAS DataLoggers is dataTaker’s master distributor in North America and offers you the new Series 3 dataTaker data loggers featuring universal input channels for use with a wide range of sensors. Now your business has a great opportunity to automate and benefit from all the communication and control capabilities available with these smart systems. Series 3 Intelligent dataTaker Data Loggers are designed to be compatible with almost all types of sensors, with a strong focus on communications to make your data easily accessible. Now you can record Temperature, Voltage, Current, 4-20mA Loops, Resistance, Bridges, Strain Gauges, Frequency, Digital, Serial and more—all on the same system using the same software. World-renowned for their rugged construction, dataTaker products regularly stand up to the toughest industrial environments. Using dEX it’s easy to set your datalogging schedules for each sensor, to view your process data in real-time dashboards, and to download data. Once you’ve saved your file, you can analyze historical data and also create tables, charts and graphs. You can use any of the logger’s built-in communications ports to view dEX including Ethernet, USB and RS-232. USB is an especially popular way to quickly pull the data once you’re finished recording. To see for yourself how easy this all is, check out this brief video Intro to dEX. Forget having to travel out to the logger to get your data. With dataTaker you can use FTP to push all the data to your office PC over the internet or mobile phone network without any need for polling or specific host software. For a remote solution, our dataTaker DT80M has a built-in cellular modem for automatic remote data delivery. Now you can schedule your data to be automatically emailed to your inbox every day, week, month or whenever you like! More sophisticated systems can make use of this capability to send all logged data to an FTP server. Unlike most distributors, CAS DataLoggers provides you with FREE technical support with all our products. Whether you’re new to setting up a data logger or a longtime owner, you can always give us a call for expert assistance. We can help you get your application up and running in no time.